There’s some pitiful sulking and brooding going on atop the porcelain throne on Washington’s Pennsylvania Avenue this morning. But we persist. And for good reason. It’s called morality and the hope for democracy to prevail. We’re pushing through the year with our eyes on 2020….if we make it there. One way to do this is to bide our time with Americana and we’re doing that once more this week with new tracks from Hayes Carll, The Gibson Brothers, and Chip Taylor. 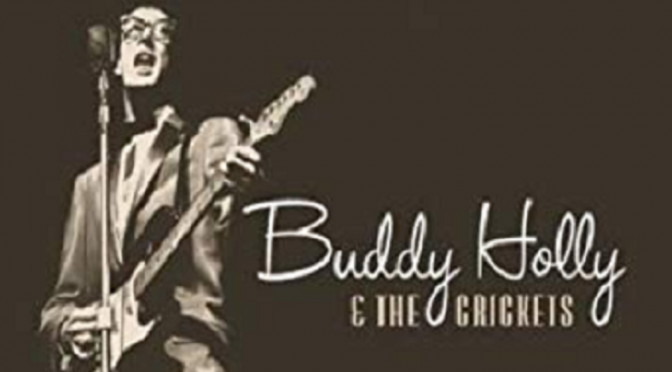 We’ll also be reflecting on the great Buddy Holly in song with selections from Johnny Rivers, The Tractors, and The Mavericks (among others). Join Dave Stroud for a Thursday morning selection that gives a lot of thanks for so very much on Sonoma County Community Radio.